Movies- the predominant source of entertainment, which has extended its limits and now movies from all around the world are in our reach. And now when we talk about movies, we don’t think just watching them in theaters but we now prefer them to watch in our home and by home too I would like to add the mobile phone since they are quite easy to use and are within our reach. The mobile phone now are the important part of our life. And, it is more than life when it comes to spare the most boring time. And to keep us entertain we are constantly in search for Free Movies apps so that our entertainment can’t get affected by the hefty charges laid upon us when we watch movies in a theater. It doesn’t matter if your mobile phone runs on Android or iOS but to get its potential use is the thing that matter the most. And to get the best out of it the searches on free movie apps for android are at its peak since androids are in reach of most of the people and are available at cheaper price. So to make movies in the reach for every mobile user and that to for free we have listed the list of 10 Best Free Movie Apps for Android & iOS Users 2017. Before moving on, it is mandatory that you should check if you are connected to active internet connection while watching movies in Movie App, whether in form of mobile data connection or the public or closed WiFi connection. 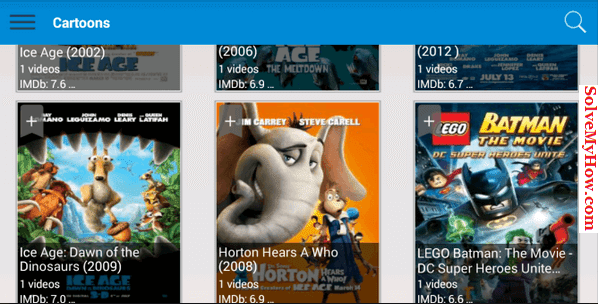 Cinema Box is undoubtedly one of the best movie apps for android and iOS. Earlier this app was known as PlayBox HD. It has some exceptional features like kid’s mode, subtitle support, Chromecast support and last but not the least offline mode. Though this app is not available in Play Store/iOS Store but you can download it from the following links. 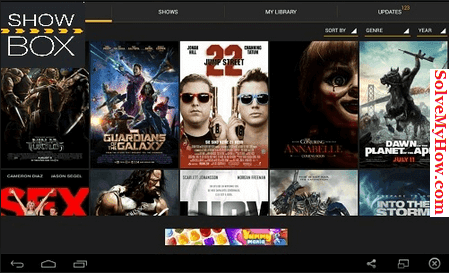 ShowBox is another popular movie app among smartphone users. The movies, TV serials, reality shows, and much more are easily within your reach by this app. The app is quite user-friendly and streaming of movies and shows from third-party websites are quite easy and hassle free. HD stuff is supported in this app, So if your mobile phone supports the full-HD feature then you can experience HD movies of 1080p for free. Undoubtedly this is one of the best free movie apps for android. You can download this app from below. This app is quite similar to ShowBox. The app is available for both android and iOS users. And the size of this app is just 1.83 MB, so the internal memory is never going to be an issue for you, if you are using this app. HD movies are freely streamable using this app in two different quality i.e 360p and 720p. The app can be downloaded from below link. 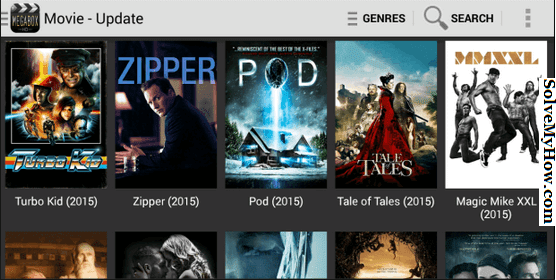 Newest Movie app is one of the best movie apps for android, in which movies can be watched hassle free and that too without any subscriptions or something like that. Using this app you can also download free movies on your android phone. The app is quite basic but will surely satisfy all your needs. The IMDB rating of any movie can also be checked within the app only before watching the movie. 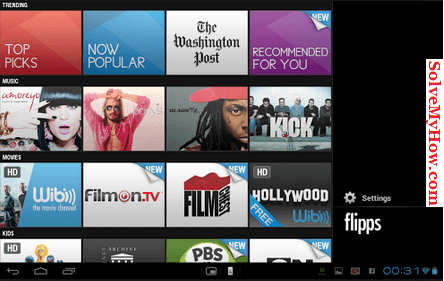 Flipps HD is not just the Free Movie app, it’s the whole world of playable content. You can watch movies, viral videos, listen to music not only on you android phone but also on TV. Not only that live streaming sites can also be stream by this app. This app is personally my favourite one. I’d quite positive response while using it. This app is the best free movie app for either of the platform. You cannot just watch movies but can download them as well from within the app only. This app is available for both android and iOS as well. 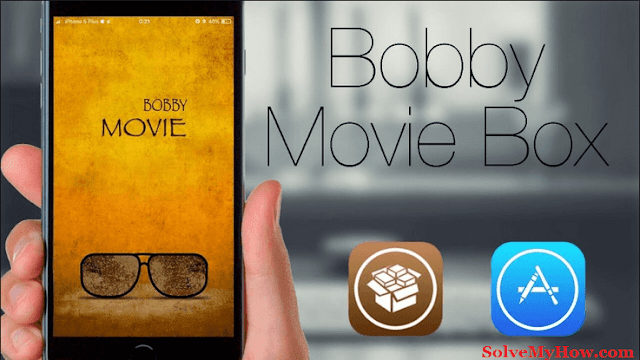 There are quite a few free movies apps that are available for free on iOS platform, and Bobby Movie Box in one such Free Movie App which is just for iOS platform. The app has quite unique and fluent UI. It also allows you to watch movies in HD quality. The main advantage of this app is that it is frequently updated so that you never get short for interesting movies. Undoubtedly, this is the best Free movie app for iOS. The app can be downloaded from the app store or you can also download it from its official website. 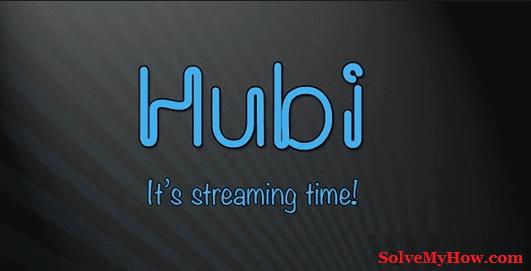 Hubi is an excellent free movie app that allows you to watch movies, videos, TV shows and much more quite easily and by quick and easy navigation. Like other apps, it also supports TV streaming to watch movies on TV. Further, all content can be downloaded and that too for free. And downloading is also considerably fast since it collects the downloads from the different server and gives you the link of their server. Currently, they have 39 hosters. So the easy and fast streaming of any movie can be possible. It though contains some ads in its free versions but these flaws can be omitted since movies are free to download. 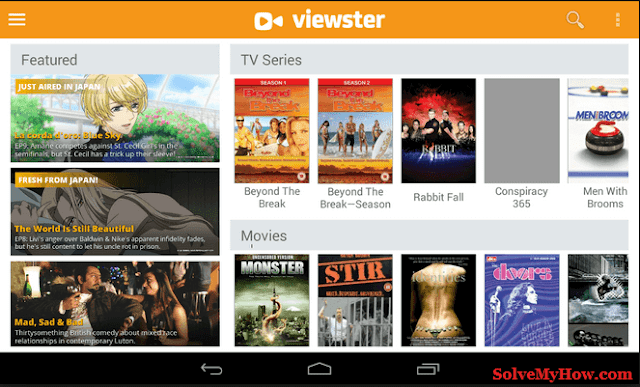 The ViewSter is already popular for its best online streaming service and commenting to such promise this app was launched. Even this app also allows you to watch movies, Tv Shows and much more with its simple and easy navigation UI. All irritating things like sign-up, or create a new account to stream movies are not there in this app. And that makes it the best and unique app among all. Another best part is compatible with Chromecast through which streaming movies with higher quality on your TV can become simpler. The app runs fast without any errors but sometimes the app freezes automatically and thus makes the running film to stop. But overall app performance is good. This is android based free movie app which has over 1 million downloads already. Its unique thing is that it provides the streaming of movies in tons of different categories like Documentary Films, Animation Films etc. Though all the movies listed in the app are not free but there are hundreds of movies which are available for free without adding any kind of banking details. Though the app is free to use but if you wish to access the full catalog you have to sign up for the premium plan which would cost around $4.99 per month. 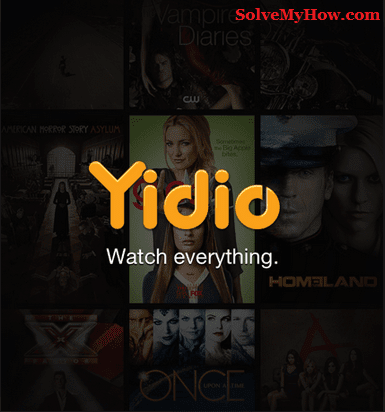 Yidio is also one of the best movie apps for android. The reason it is on the #10 rank is because it is not supported for all the devices currently. Watching movie on Yidio is quite easy because of its navigation tool which filters the movies for us. For some movies, you have to pay but most of the content is free in this app. Not only that it has one request movie option through which you can request your movie to Yidio. Once the movie got added you will be notified. Thus overall it is a good app to try. It is available on both the platforms. So this was all about top 10 best free movie apps for android and iOS 2017. I hope you enjoyed reading this tutorial. Do let me which is your favorite free movie app for android and iOS in the comments below. You can also subscribe for SolveMyHow newsletter to get latest updates about Android and iOS high quality tutorials right into your inbox! Cinema Box and Yidio are 2 out of 10 Best Free Movies Apps For Android and iOS 2017. 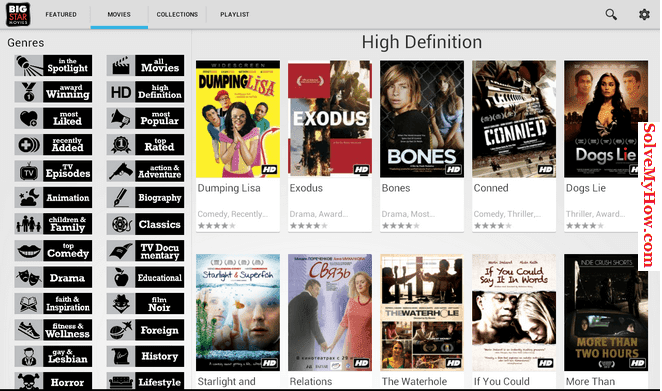 Nice post :) I love downloading free movies and this post is one I like to bookmark. Even I'm using Cinema box. 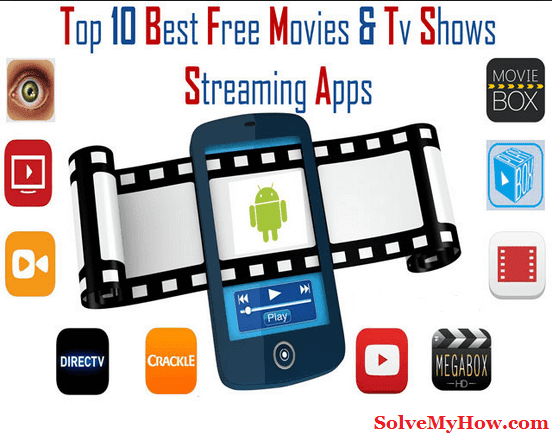 Hope you like the Top 10 Best Free Movie Apps for Android & iOS Users 2017.